Having an idea is one thing but bringing it to fruition is a whole other can of worms. If it wasn’t for the sponsors that supported our alley project and our vision right from the beginning I can easily say it would have never happened. It would have simply been cost prohibitive. 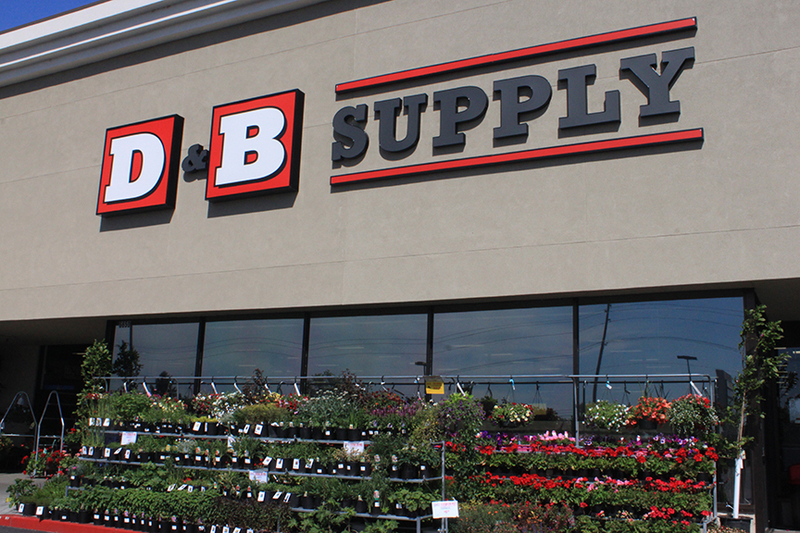 One of those sponsors is D&B Supply and especially Shane Branch at the Garden City location. He jumped on board and asked how could he help. His generosity and kindness has been just amazing. The whole alley project got its roots last summer when my husband and I were installing trellises on the side of our garage on which to grow blackberries. It was a simple system involving hog wire and some eye bolts. It was inexpensive, sturdy, low maintenance and went up in a flash. Suddenly I could see the whole alley lined with these trellises, and with D&B’s help, that’s exactly what happened. 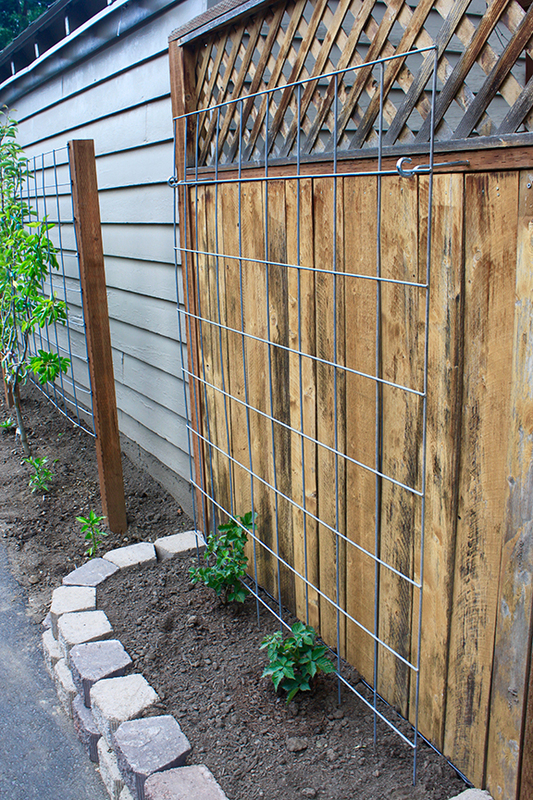 Determine the size trellis you’d like and using bolt cutters, cut the hog wire to size. A sheet halved makes two nice vertical trellises, or don’t cut at all and hang horizontally for one long version. 3/8˝ x 8˝ zinc plated eye bolts are great for installation as they are heavy duty and hold the trellis out away from the wall or fence you’ll be mounting it on which gives plants some nice airflow. The eye comes closed, but that’s nothing a vice, a crow bar and some muscle can’t fix. To install the eye bolt, two things will make it easier – 1) drilling a 1/4˝ pilot hole and 2) using an allen wrench to utilize the power of the drill to screw them in. We used 6 hooks to hang a 50˝ x 8′ piece on the side of a garage, locating bolts at each of the top corners with one in the center and then a second row like this halfway down. For the section we installed on a fence, we only used 2 hooks – one on each side towards the top. Now the easy (and gratifying) part. Slip the piece of hog wire onto the hooks, placing the cut end of the wire downwards, stuck in the dirt for extra stabilization. 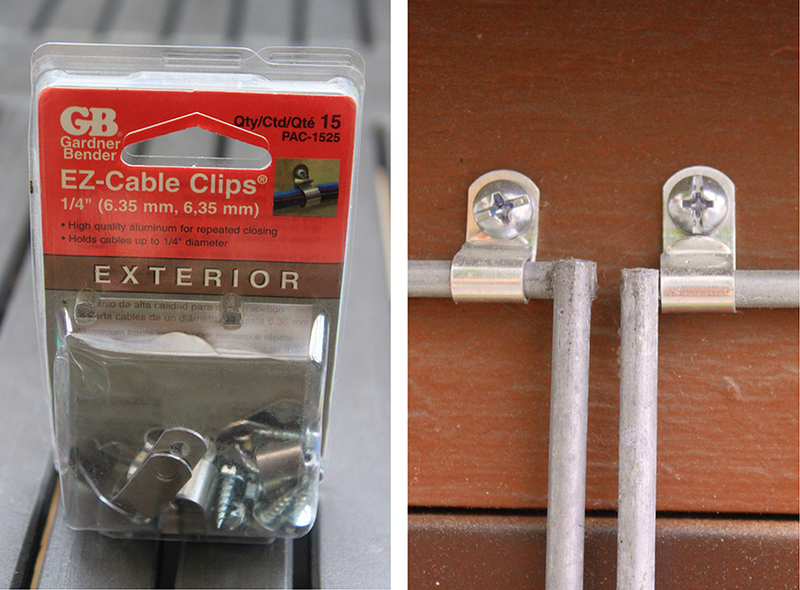 If hanging the trellis on the side of a building, 1/4˝ exterior cable clips work great to attach the top of the grid to the facia. Tah dah! 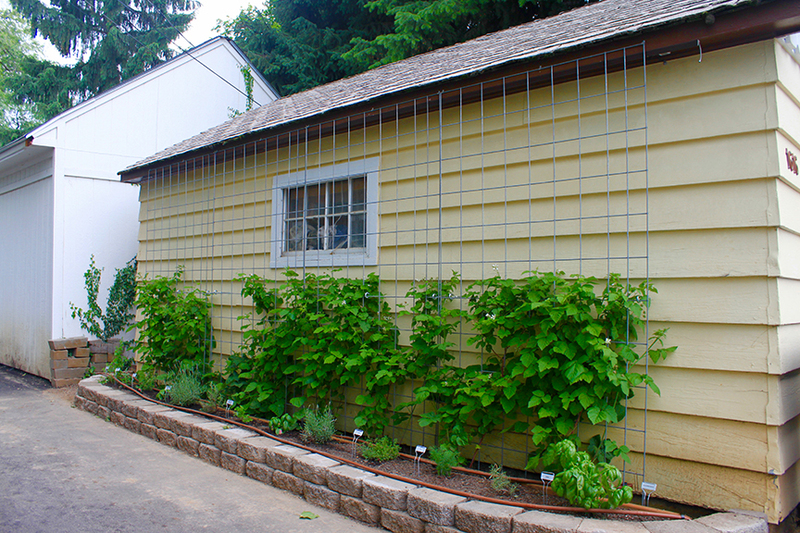 Now that’s an easy garden trellis! If you install one of these make sure and send me a picture in the comments below. I’d love to see your creation!